An 11-year-old boy was bitten by a shark in North Carolina on Saturday. The unidentified surfer was off the beach in Fort Macon State park in Atlantic Beach around 2:30 p.m. He was bitten on the left foot and was taken to Carteret Health Care for treatment. The wounds were deep, but not life threatening and beaches remained open after the incident. This is the second shark attack bite in North Carolina in June. On June 11, 18-year-old Dillon Bowen was bitten on the right wrist. In June of 2015 there were two severe interactions occurring on the same day off the coast of North Carolina. 12-year-old Kiersten Yow and 16-year-old Hunter Treschl both had their arms severed in separate shark attack bites. There have been a total of forty-four shark attacks bites in 2016. Five of which were fatal. Eighteen reported in the US, with twelve occurring in Florida. Ten have occurred in Australia, three of which were fatal. 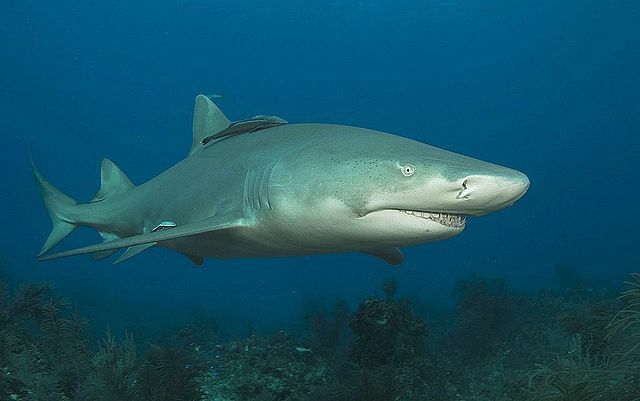 i have a question i am 15 years old and i am going around the world with my uncle tagging sharks so my job is to find this years hot spot for the sharks…. where would this years hot spot be??? Sounds like a great job! What species of shark are you planning on tagging?